Were your parcels on this FedEx truck? If so, we regret to inform you that all packages on board were destroyed in this St Louis incident. Thankfully the driver was fine, so back to the packages. If you’re a client of Direct-Recovery, using our FedEx loss and damage claims processing service, you barely give this news the time of day. We make sure every package is delivered on time and intact. If not, we deal with it so you don’t have to. Loss and damage claims processing is a losing venture for most shippers. Unless you’re shipping high value merchandise, it’s rarely worth filing the claim. That’s where Direct-Recovery comes in. We streamline the claims process to a few minutes per week. Simple. Straightforward. Before your package becomes the next casualty, inquire about our claims processing. 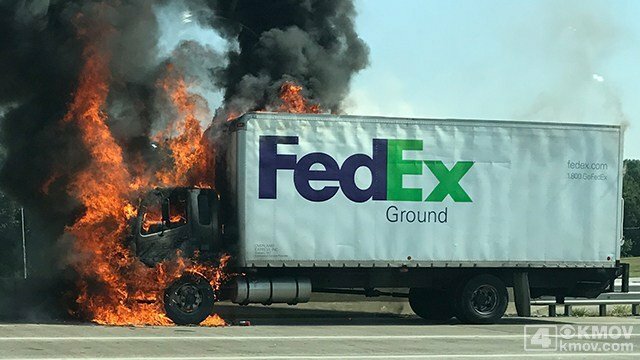 There’s too much going on in this world to sweat over a FedEx claim.